Things have turned nasty between Love Island stars Olivia Attwood and Chris Hughes after he suggested his ex-girlfriend was “encouraging hate” towards him on social media. Taking to Instagram, Chris revealed he had been receiving death threats from viewers watching his reality series Chris & Olivia: Crackin’ On. 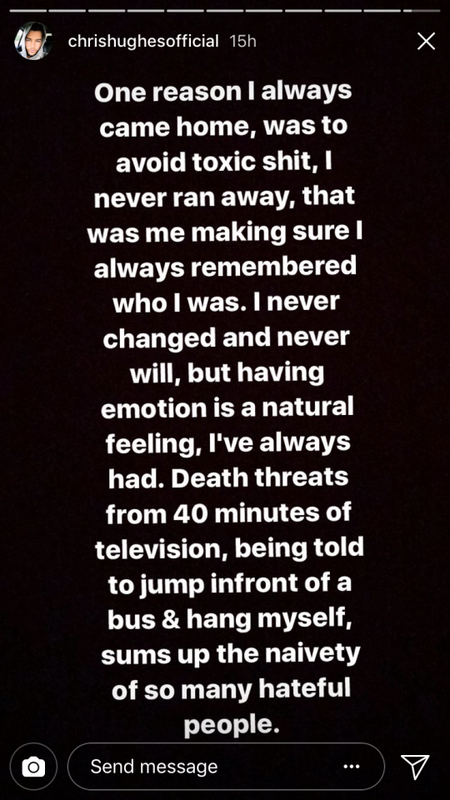 Venting on his Insta story, he wrote: “One reason I always came home, was to avoid toxic sh*t, I never ran away, that was me making sure I always remembered who I was. “I never changed and never will, but having emotion is a natural feeling, I’ve always had. 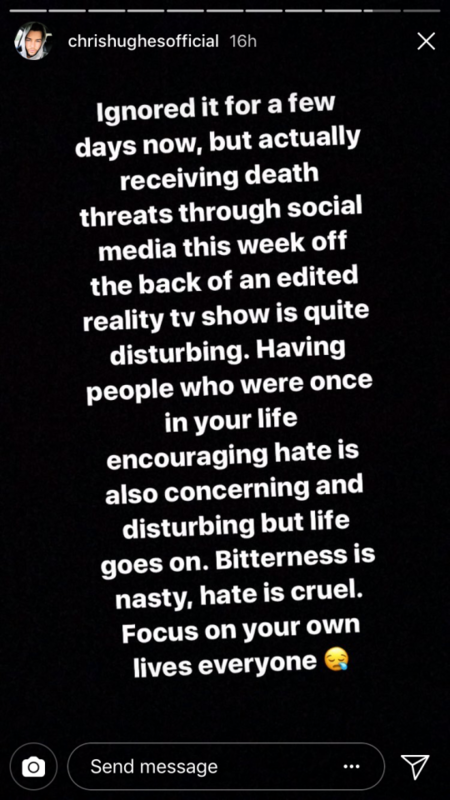 Chris continued: “Ignored it for a few days now, but actually receiving death threats through social media this week off the back of an edited reality TV show is quite disturbing. “Having people who were once in your life encouraging hate is also concerning and disturbing but life goes on. “Bitterness is nasty, hate is cruel. Olivia hit back on Twitter, however, writing: “Just for the record I have never and would never encourage online hate, toward anyone, as I have been on the receiving end of that myself. Just for the record I have never and would never encourage online hate, toward anyone, as I have been on the receiving end of that myself. must be a strange adjustment, to not have someone else to blame for absolutely everything. In a tweet that has since been deleted, Chris replied: “Don’t start a war behind someone’s back, and not expect them to speak up. “Someone was quick to unlike those tweets about me being emotionally abusive, a bully etc for sticking up for myself in a 40 minute edited tv show. As if it’s only midday on Monday 😂😂😂 holy frick balls. Is it too early for a glass of wine? You can watch Chris & Olivia: Crackin’ On on ITV Hub.